Swift Power on TIME magazine, a commentary. A Blank Space lipsynch with Greg James. She never misses a beat, Taylor Nation. Here at the Swift Agency, just a guy who’s trying to keep his head above water, we’ve got bills to pay and nothing figured out. 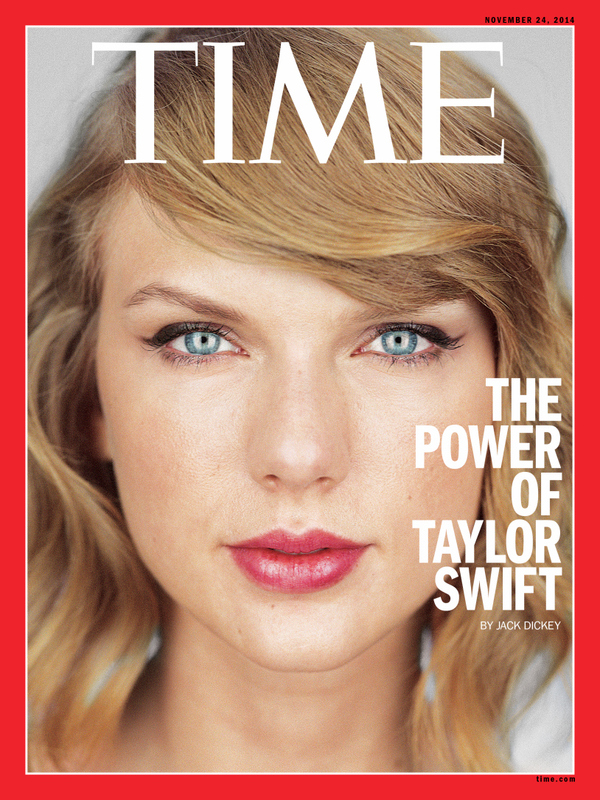 The Queen of Sparks just made the cover of TIME magazine with a powerful title: The Power of Taylor Swift. Unfortunately, we don’t have a subscription, but we can give you a few quotes from the associated article, where Taylor discusses 1989, Spotify, the 1989 World Tour and her female role models. “I didn’t want people to know the emotional DNA of this album,” Taylor tells TIME. “I didn’t want them to see a smiling picture on the cover and think this was a happy album, or see a sad-looking facial expression and think, oh, this is another breakup record.” And that she did. Her cover is enigmatic but also reminiscent of the 80’s. Whether the 80’s band A Flock of Seagulls was an accidental or intended reference is not clear, but there’s definitely a vibe to that era with the polaroid theme. “Being a songwriter means you’re very attuned to your own intuition and your own feelings even if they hurt,” she says about songwriting. She’s the quintessential songwriter to embody that thought. Taylor is never detached from her songs, they soar because she sings them and she soars because she writes them. It’s a very intimate relationship. You can read more about her views on TIME magazine. On other news, watch as BBC’s Greg James goes for a ride and a lip sync sing-along with the Daydream herself! The track is Blank Space. The place is London. Let’s go to the video! Next Next post: News Update: Barbara Walters. New MetLife Stadium concert date!